The purpose of AFA is to educate club members about the US Military and the importance of patriotism. Our second purpose is to give back to our service members. AFA’s mission is to educate club members about the US Military and serve our veterans. We accomplish our mission by hosting volunteer events, having educational meetings, fundraisers, snack and letter drives and guest speakers. Art Club encourages students to use their God given talents to appreciate and create beauty. Our mission is to provide students with and environment/opportunity to explore art outside of art class by participating in various art contests and competitions. FCA is a club that seeks to encourage and support athletics at CCS in their walk with Christ. Our mission is to bring Christian athletes together by having fun while pursuing a relationship with God. Our vision is to positively impact CCS’s culture through the influence, encouragement, and service of Christian athletes. The Film Society exists t teach people to appreciate film making and also to teach them how to create a film. We want to create artistic content that glorifies God through the process of film making. During meetings, we will learn about the process and brainstorm ideas. We will meet occasionally after school to provide hands-on experience in filmmaking. 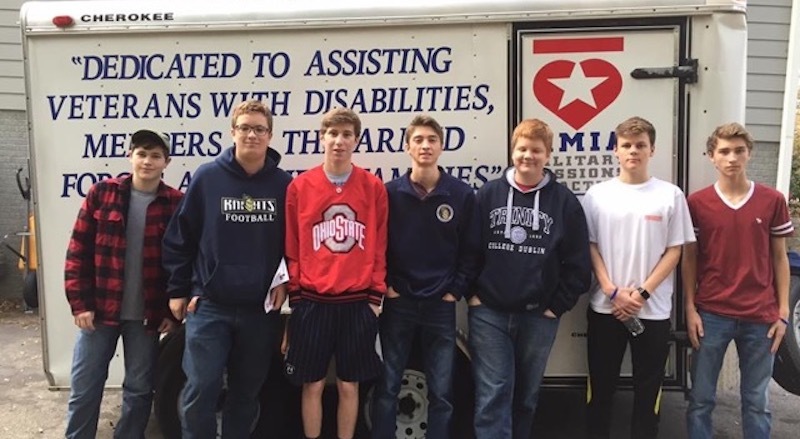 Habitat is dedicated to bringing students together to help the community. We want to help people obtain affordable housing and help our community. We participate in house building projects and service for the community while also raising awareness for affordable housing and other community needs. In Philosophy Club, we utilize reasoning skills God gave us to expand on our logical thinking and challenge our psyche. Our mission is to create an environment where students can freely discuss their thoughts by offering and encouraging students to take the AP Psychology exam and by introducing various thought experiments. Students will have the opportunity to learn the basics of RC construction and flying. In January we will compete again in the FIRST FTC robotics tournament. The club is also intended to be a resource for electronics solutions to other programs at CCS. The club meets on Fridays from 3:45-5:45PM in the Science Lab. There is a $50 fee per semester. The purpose of St. George is to cultivate the unique traits and abilities entrusted to the Christian man. The club wants to harness the natural energy and inclination to cause a positive change in their communities. By encouraging them to call their peers to a higher standard in the classroom and helping them exercise Christian servitude. 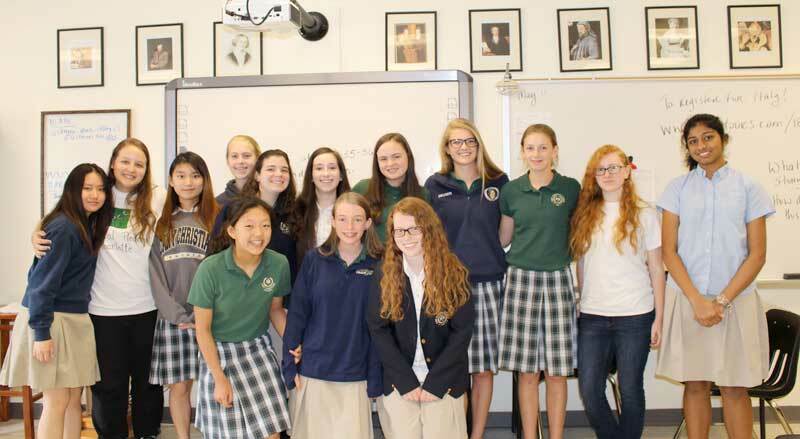 Society of St. Monica exists to explain to the young women at CCS the aspects true of Biblical womanhood as demonstrated through the Holy Scriptures and to encourage them to let those characteristics permeate in every aspect of their lives. SSM wants to teach the young women of CCS what being a Godly woman looks like by studying God’s word and going through Bible studies so they can put it into practice in their daily lives. SSM will accomplish their mission by gathering together to study God’s word and by praying that the girls are transformed by it. Speech and Debate provides a platform for students to utilize and improve speaking skills and the faculty to defend and argument well. Our mission is to establish a framework for CCS participation in speech and debate competitions. We will be holding mock debates between the central debate team and debate associates. We are seeking to create a community focused on being good stewards of our environment and resources both locally and globally. We will have regular meetings as an opportunity for education, discussion, and debate of relevant topics, and potentially including guest speakers and special events.